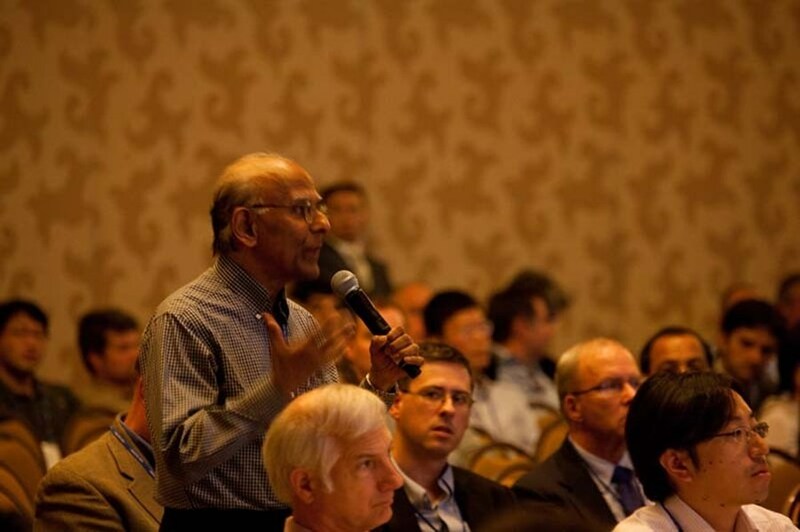 A large gathering of fusion scientists such as the 24th IAEA Fusion Energy Conference held in San Diego on 8—13 October offers a unique vantage point to assess the progress of fusion research worldwide. 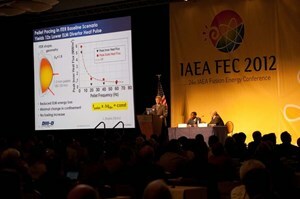 The 400 papers and posters that were presented throughout the week—some 70 being ITER-related—clearly demonstrated that, in many critical areas, researchers are reaching a much better understanding of the phenomena that control plasma behaviour—and we all know that this fundamental knowledge is essential to the success of our project and, beyond, to the future of fusion energy. One of the highlights of the meeting was the presentation of JET's results: now equipped with an ITER-like wall, JET, together with ASDEX Upgrade, is answering critical questions on how tungsten would affect plasma performance in ITER. The results on fuel retention on JET are encouraging and we are awaiting further results from JET on how to optimize plasma performance. The synergy between exploratory experiments on ASDEX Upgrade and follow-up experiments on JET has been valuable. This has implications for the role of satellite experiments in the Member states when ITER comes into operation. The superconducting tokamak facilities, EAST, KSTAR and JT-60SA, clearly see how they could contribute to ITER. It was also pleasing to hear that the SST-1 Tokamak at IPR (India) has been reassembled and that commissioning of the superconducting magnets is underway. We were all very interested in the new data on disruptions and runaway electrons that the teams working at JET, Alcator C-Mod, DIII-D and T-10, as well as other machines, have accumulated. Innovative techniques are being developed to minimize the impact of the runaway beams on the plasma-facing materials on DIII-D, which is good news for our community. The effectiveness of a second gas valve to reduce the asymmetry in the radiated power during a disruption was studied on C-Mod. The disruption observations from JET indicate that there are significant differences between a carbon divertor and a tungsten divertor. The plasma current decays more slowly and the vertical position also evolves more slowly. This is probably related to the decreased radiated power—however, the duration of the halo currents is greater. An intriguing result from analysis of NSTX disruptions is that 98 percent of disruptions can be flagged with at least 10 ms of warning with only 6 percent of false positives. These results combined with other results on disruption mitigation give greater confidence that a sufficiently reliable disruption mitigation system can be developed for ITER, though further work is needed. An increasing body of fundamental knowledge is also being accumulated in the field of ELM control, which will lead us to re-evaluate how to either mitigate the impact of, or preferably suppress, ELMs by means of the in-vessel coils. ASDEX Upgrade, DIII-D and MAST are strongly contributing to this exploration and understanding as well as theorists from around the world. In addition, interesting new data using other techniques, including pellet injection, to control ELMs were shown by DIII-D, EAST and KSTAR. Increasingly detailed analysis of stability and confinement characteristics of H-mode plasmas are advancing in impressive fashion: the conference heard of the remarkable agreement between the predictions of the "EPED" code and measurements of limiting pedestal pressure in many tokamak experiments. An interesting new analysis of the influence of isotopic mass on the confinement characteristics of H-mode plasmas was also reported from JT-60U, and striking results from nonlinear 3D modelling of individual ELMs with the JOREK code were also presented. An extensive review of recent data on the dependence of the H-mode power threshold carried out by the ITPA will also give us food for thought. 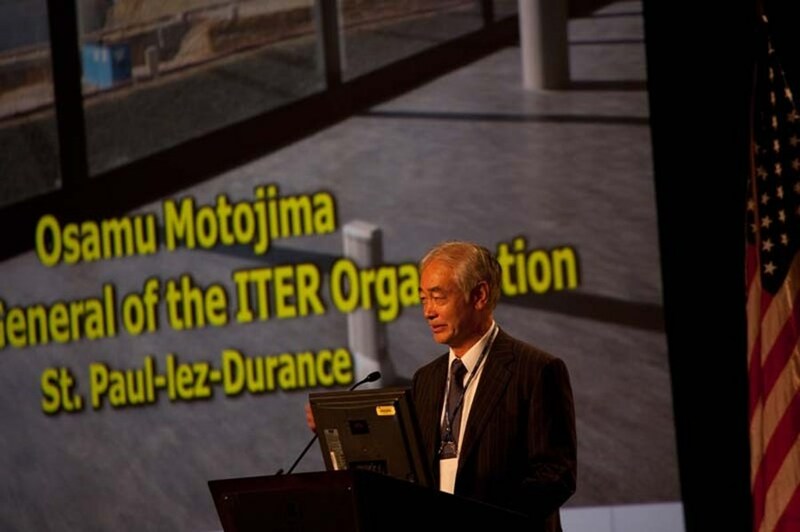 On the first day of the conference, ITER Director-General Osamu Motojima gave a status report on ITER in the first technical session of the meeting. 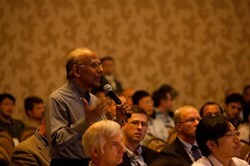 Later that day, there was a session devoted to ITER physics, scenarios and heating and current drive technology. These two sessions provided an excellent introduction and overview about the status of the project and recent scientific and technical achievement. At a town meeting that was held on the following night after a full day of meetings, both of us respectively presented the "The ITER Research Plan", and "Burning Plasma Research on ITER"" to a large audience. 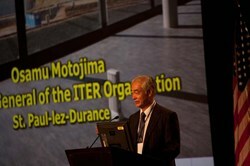 There is clearly interest in what ITER will do during the Operation Phase. David's presentation related ITER's plans to achieve burning plasma conditions to some of the recent work highlighted at the meeting. Based on successfully achieving burning plasma conditions; Rich's presentation described how ITER would be able to advance our understanding of deuterium-tritium burning plasmas far beyond what we achieved on JET and TFTR during the 1990s. The presentation described not only the progress that both JET and TFTR had made but also the outstanding scientific issues. 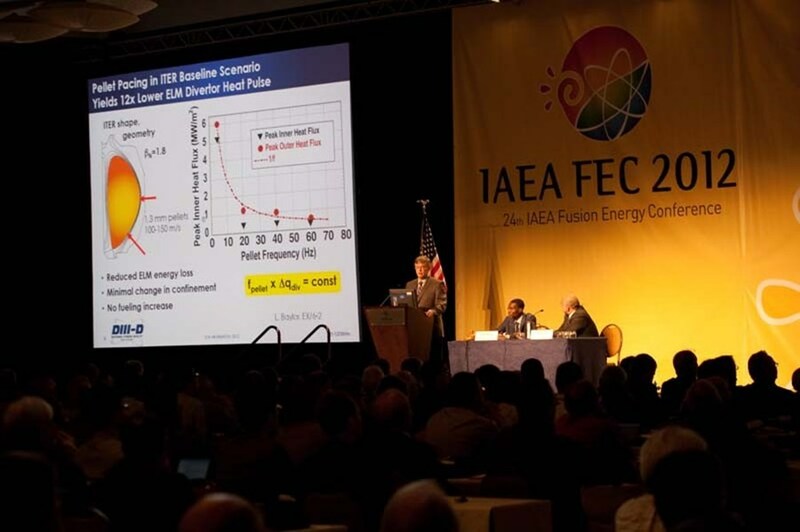 The results described above are not a comprehensive summary of the meeting but merely some casual observations of interesting results to stimulate people to read the conference proceedings and articles in Nuclear Fusion. Better, maybe, than a dramatic announcement of a revolutionary breakthrough, the conference provided a clear and reassuring image of a community that is marshalling its facilities and intellectual resource to make fusion happen and in the process, addressing key issues of importance to ITER.